Vintage rose scarf/wrap. 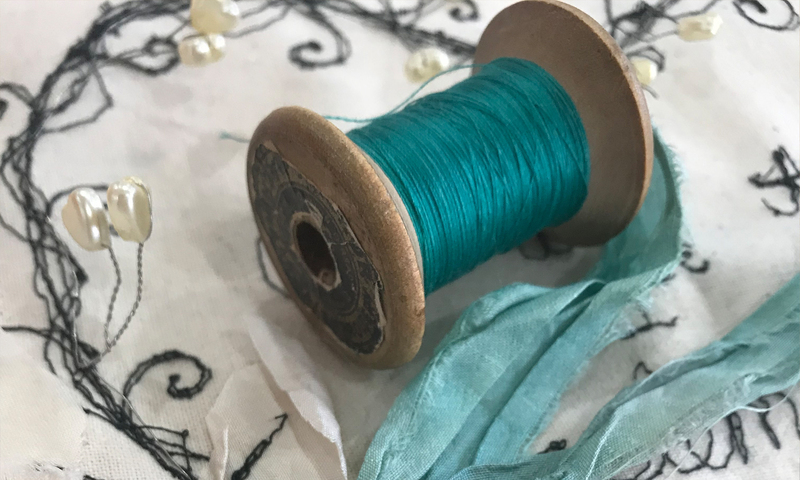 Inspired by vintage wedding fabrics and old ace. 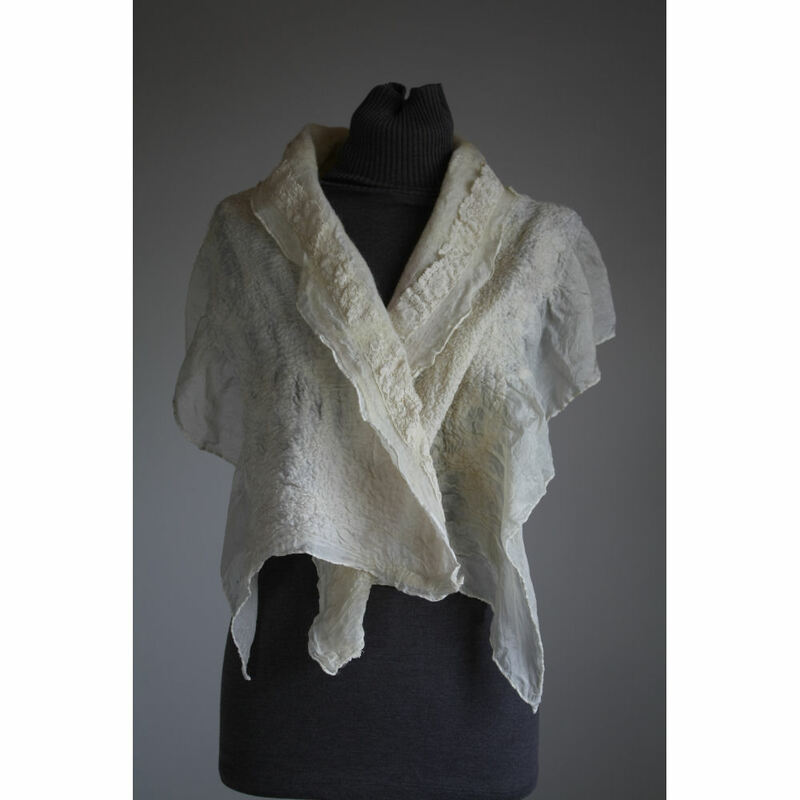 This ponge silk scarf/wrap has been nuno felted using Merino wool fibres, burrs and knepps, and curly Wensleydale fibres. Vintage lace has been nuno felted to the top edge. The bottom edge has been left to produce a deep silk ruffle. Delicate seed beads and pearls and sequins have been hand sewn in custers to catch the light and provide a subtle sparkle. Buttons and a vintage cream rose add that final “je ne sais pas” to this fabuous scarf/wrap. This would be perfect for a summer bride! length 42 cm x 155cm approx.